1. Shoe Magic – Buy gleaming fuchsia (stylish) or red (festive) colored high heeled glass bottom stilettos and fill one of it with flowers of appropriate size for a trendy table top which will set the stage for a trendy, modern theme. 2. 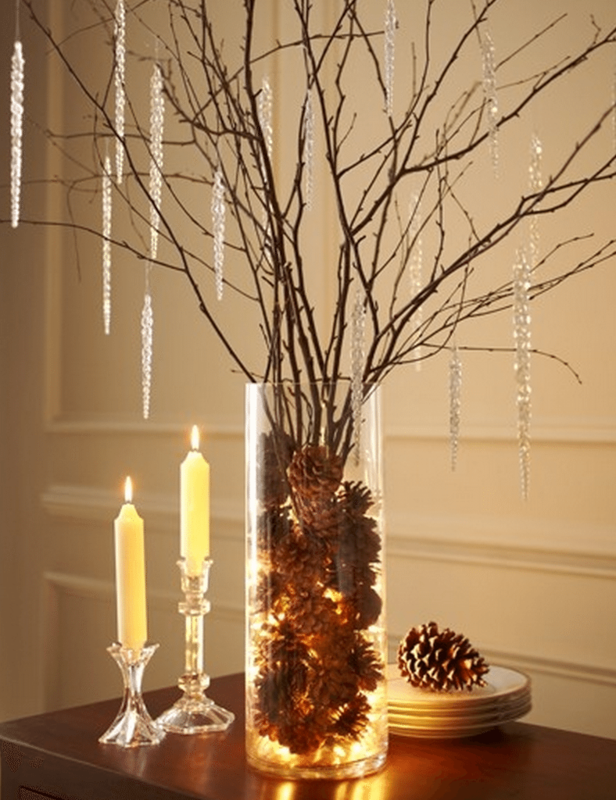 Quick Centerpiece – Fill a goblet with cranberries and tie a bow at its stem for a quick, festive table top. 3. 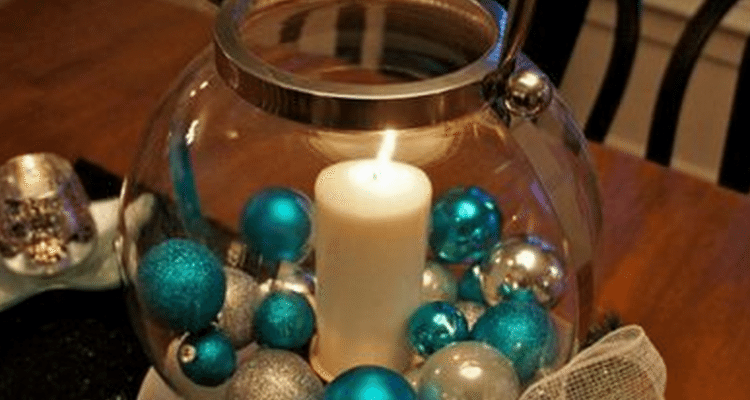 Candle & Sand – Fill a clear glass bowl with colored sand (available at craft stores) and stick red or white or a combination of red-white or red-green candles in the sand. Use about 10 candles and arrange them creatively. 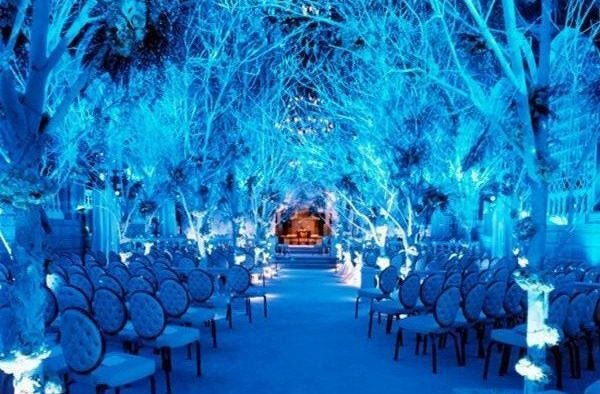 Light all of the candles together for a lovely shining effect. 5. 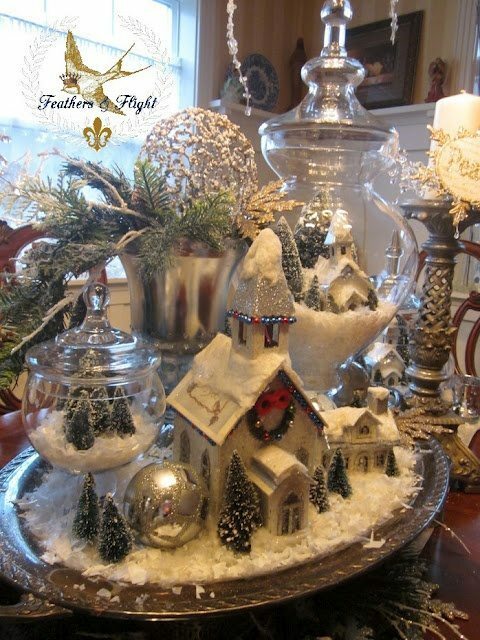 Snow Globes – Snow Globes or Snow domes lend a whimsical touch to your room. Use them on your table for a touch of fantasy. You can make a snow dome yourself using easy-to-follow Snow Domes instructions. 6. 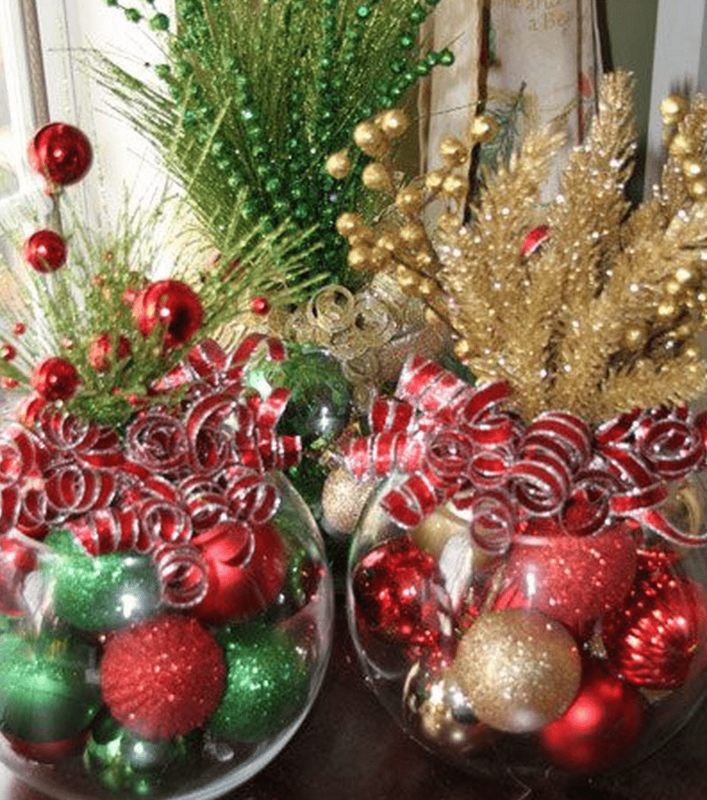 Ornament Glitter – Fill clear glass bowls or baskets (tied with a red bow) with Christmas baubles in bright red, green or blue and glittering silver and golden colors for a sparkly tabletop. 7. Candle and Bloom – Place 4-5 pillar candles of same color (preferably white) but different sizes in a plate. 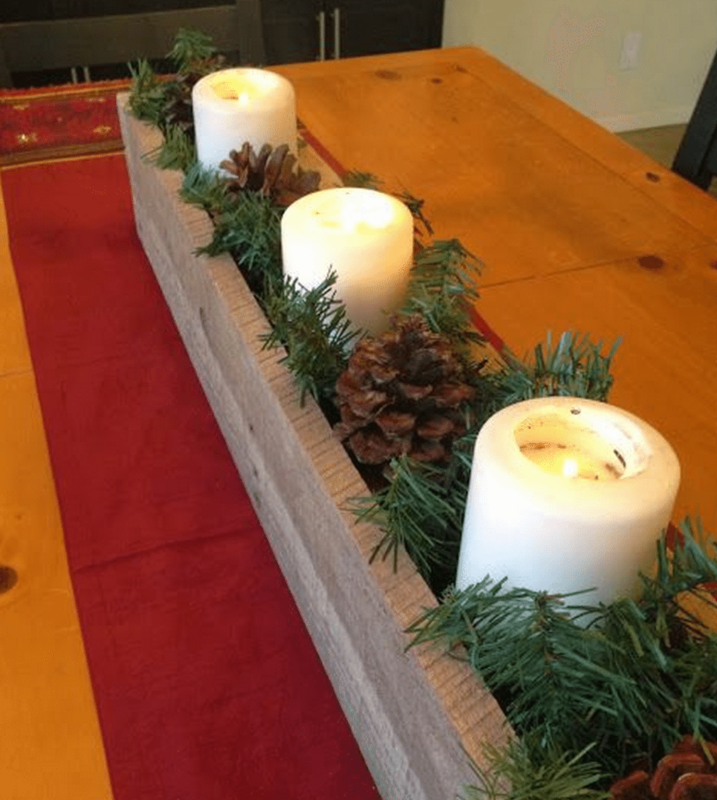 Place a poinsettia or any red flower and a twig of holly in the same plate. Light all the candles. 8. Snowy Village – Just like snow domes, a Thomas Kinkade or any other snow village scene compiled with snow clad buildings and tree replicas, available easily in stores, will bring lots of holiday cheer and fantasy to your table. 9. 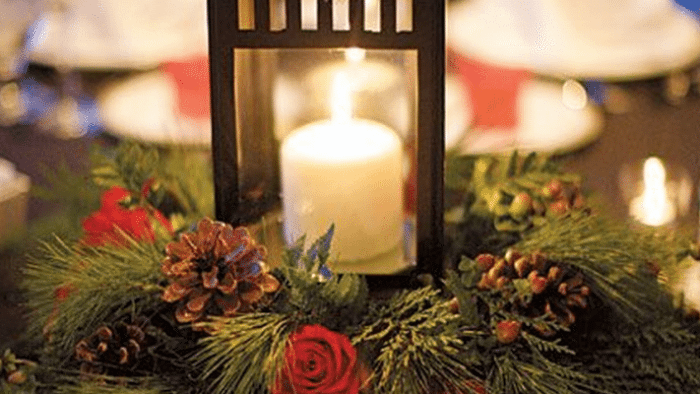 Hurricanes and Votives – Fill glass hurricanes with scarlet cranberries and red roses and flank the hurricanes with votives. 10. 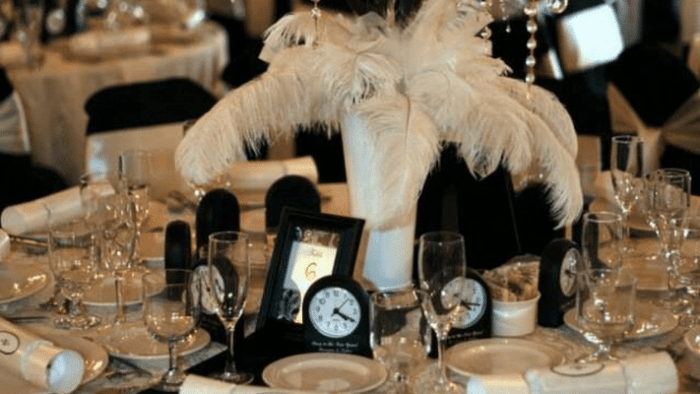 Tapers and Tulips – Creamy white tulips in silver cups flanking a candelabra filled with white tapers make simply sensational centerpieces. For more Fresh and Dry Holiday Flower Arrangements, visit our site. Lata Tokhi is the Founder and Editor of Dot Com Women, a premier women’s website and fast-growing online community, and Celebrating Christmas, a resource for celebrating Christmas in style. Visit her websites for lots of homemaking and business ideas, free downloads, free Ezines and message boards for women to network and share.